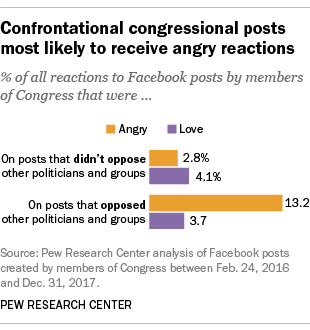 After the 2016 presidential election, Facebook users began using the “angry” button much more often when reacting to posts created by members of Congress. The increased popularity of anger after the election is also apparent when examining the share of emotional reactions and “likes” that individual posts received. 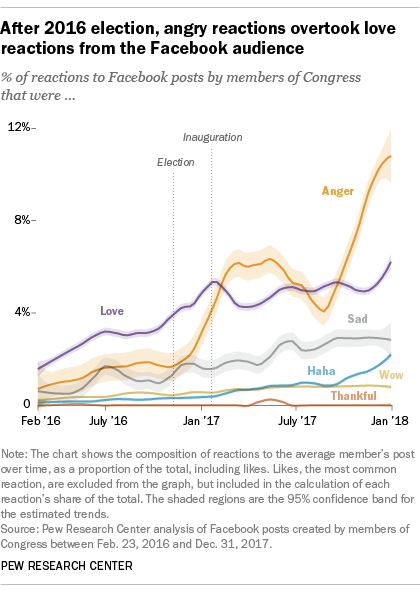 By that measure, anger emerged as the most popular reaction – other than “likes” – soon after President Donald Trump’s January 2017 inauguration, beating out the “love” reaction for the first time. By the end of 2017, the difference became much more pronounced. 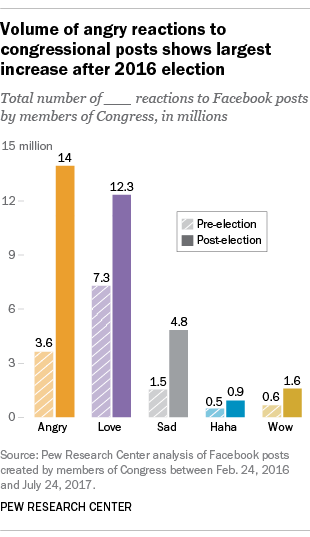 Note: See methodology here (PDF).